Close to Public Lake Access! 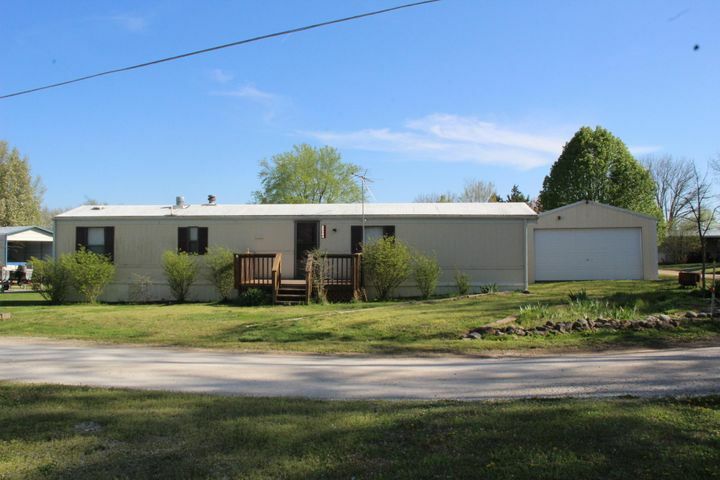 Cute, well maintained 2 BR, 1 1/2 BA mobile home with a lovely screened in porch to sit and enjoy the days with! There is a 2 car detached garage with an attached storage building for your mower or golf cart. The interior boasts newer vinyl flooring in the kitchen and almost new dishwasher, too! Split bedroom design is a plus and you have a ramp up to the rear porch with a chain link fenced back yard for your pets! Great weekender or lake getaway! Please provide more information about Listing # 60134286.